You know you need to cut back on the amount of sugar in your diet. But despite your best efforts, you just can’t stay away. That is because your brain can react to sugar like other addictive substances. Sugar fuels your body, including the brain, so your brain may see it as a reward. This can make it hard to not want more. When you eat sugar, it is turned into glucose quickly. Then your pancreas makes insulin to lower the amount of glucose in your bloodstream. Then your body has a sudden drop in blood sugar, which may make you want more. You see how the cycle can get out of control. Limiting sugar can help you to get hungry less often. So if you are having a hard time trimming sugar out of your daily routine, give yourself a break. This does not mean that you are a weak-willed person with no self-control. It just means it is going to be difficult. Some good reasons to cut down on sugar is because too much sugar is linked to obesity, type 2 diabetes, heart disease, chronic inflammation, liver disease, and high blood pressure. If you practice the following 10 tips to cut sugar out of your diet on a consistent basis, you will begin to crave sugar less. You will get less hungry, be healthier and even lose some extra pounds. Not all sugar is called sugar. Even if you are diligently reading food labels, food companies are consistently trying to derail your healthy eating efforts. They understand how addictive sugar is, so they try to sneak it past you and get it into your body. Don’t forget, sugar is even in foods that might not taste sweet, such as some breads and sauces. When reading nutrition labels, look for words like high fructose, dried cane syrup, corn syrup, invert(ed) sugar, molasses and just about any word that ends in “ose.” Honey, maple syrup and brown rice syrup are also sneaky and healthy sounding ways that food companies tell you there is sugar in a specific product. Almost all modernized countries demand some type of nutrition label on edible products. This just makes sense. It keeps dishonest companies from selling nonfood items as food, and unscrupulous firms cannot sell eventually dangerous foods without revealing every aspect of their makeup. However, simply because labels are required to reveal what is inside, this doesn’t instantly keep you from purchasing and eating the wrong types of foods. When your blood sugar level drops, you crave sweet and sugary foods, but studies have shown that when you eat 6 small meals, each and every day, it is easier to regulate your natural sugar level. It cuts down on your tendency to crave something sweet, and your sugar consumption drops. You can overeat, however, when you eat frequently, so be sure to make vegetables a big part of those small meals. Vegetables help to keep blood sugar level because of the fiber, and they have less calories. Now that you are consistently reading food labels and you know the sneaky names that food companies use for sugar, you can start cutting back or eliminating those items. Begin getting more unsweetened food products and beverages in your diet. What you want to look for are the terms “unsweetened” and “no sugar added.” The types of natural sugars found in dairy and fruit are healthy for you. You just want to avoid artificial, added sugar. Food labels now include the total amount of sugars in foods as well as the “added” amount of sugars in foods. 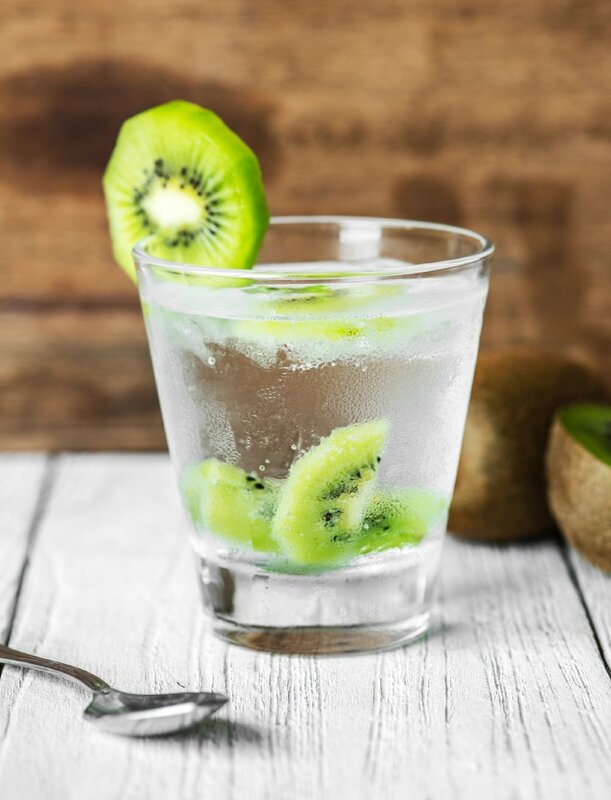 Before you argue that unsweetened drinks and foods don’t taste good, there are ways you can get that sweet taste that you like without sugar. You can add natural fruits for a sweet flavor. Some nut milks come in unsweetened varieties with flavors like vanilla. Apple sauce, canned and frozen fruits (make sure they are packaged in water or juice and not syrup) offer unsweetened versions. Peanut butter and other nut butters come in versions without added sugar too. Start cutting back on these types of products, and you will find it easier to follow the next steps. One great way to cut sugar out of your diet is to take baby steps. You have probably been eating sugar-laced items your entire life. So your body is going to go through a withdrawal period if you try to quit sugar cold turkey. Amari Thomsen is a registered dietitian that recommends cutting back on your sugar intake slowly if you are going to be successful over the long-term. For example, Thomsen says that perhaps you should try using 1 packet of sugar in your coffee if you usually use 2. Do this for one week. Then cut that quantity in half and repeat each week. If you love yogurt for the many positive health benefits it delivers, you don’t have to go cold turkey from sweetened to unsweetened either. Go 50/50 with sweetened and plain yogurt. Then begin adding fresh fruit to replace the sweet flavor that you crave. Human beings are much more successful when something requires them to take slow baby steps out of their comfort zone. Go slow and steady. We mentioned a couple of times earlier that natural sweeteners found in fruits and vegetables are perfectly acceptable and healthy. The same cannot be said for artificial sweeteners. Just because something replaces sugar, it is not necessarily good for you. Diane Sanfilippo is a certified nutrition consultant and author of The 21 Day Sugar Detox, which teaches you how to effectively remove sugar from your diet in just 3 weeks. She agrees with the 2010 review posted in the Yale Journal of Biology and Medicine that says sugar-free foods and artificial sweeteners actually promote weight gain. This is because they disturb your brain’s natural taste for sweetness. They do not deliver nutrition and calories along with their sweet taste. So, your body is still actually hungry. This is exactly why they are known to cause weight gain. Reaching for fake and artificial sweeteners can actually drive you right back to eating unhealthy, refined sugar. Stevia and monk fruit are natural sweeteners, however, that have not been shown to cause this effect. These can be good alternatives. Sometimes they are mixed with sucralose, etc., though. So, watch the labels. You want organic. Stevia shouldn’t be mixed with anything. But monk fruit is often mixed with erythritol, a safe sweetener. You may find erythritol in certain bottled beverages also. Why not replace that sweet sugary flavor with condiments and natural flavor alternatives? The next time you have a coffee craving, order the unsweetened latte. Coffee hotspots like Starbucks provide wonderful natural powders like cocoa, cinnamon and vanilla for you to spice up your favorite java at no extra charge. Cinnamon is an incredibly healthy spice which actually lowers your blood sugar level and improves your heart health. Less than 1 teaspoon of cinnamon a day has been shown to be a healthy diet addition, so add it to your coffee instead of sugar. Regulated blood sugar levels have also been shown to help control your appetite, so you may eat less as well. Stop purchasing flavored oatmeal and simply sprinkle some nutmeg or ginger on top. You can also add a handful of healthy blueberries to your oatmeal to provide a wonderful flavor and contrast. There are literally dozens of natural spices and condiments you can use to add flavor instead of reaching for unhealthy sugar. What is that, you say? How can I be telling you that eating desserts heavy in sugar is a good thing, when sugar is so bad for you? Eventually, you may remove the urge to eat sugar for the most part. But the idea behind these tips is to locate sugar that is getting into your diet in ways that you do not understand. And rewarding yourself from time to time is required if your sugar removal plans are going to be successful. Those cereals which manufacturers tell you are healthy are often times packed full of sugar. Ketchup, bread and other seemingly innocent items are chock full of sugar. It is these non-dessert sugar-filled items that you want to eliminate throughout the day. Reward yourself with a sweet treat on weekends after dinner or when you dine out once a week. Just don’t implement this strategy every day. 9. Stop drinking these beverages immediately! Okay, so everyone knows that soda has lots of sugar. But there are plenty of so-called healthy drinks and beverages that have incredibly high levels of refined and unnaturally occurring sugar. Are you drinking any of these? Once again, all you have to do is read nutrition labels carefully to avoid these sugar, drinking disasters. The American Heart Association recommends less than 6 teaspoons of added sugar per day, but thanks to the tricky sugar-laden beverages above, the average person consumes more than 12 teaspoons of added sugar each and every day. Luckily, companies are listening and making efforts to decrease the sugar in beverages or to add safe sweeteners like Stevia. There is even a soda called Zevia that is sweetened with Stevia and doesn’t contain artificial preservatives. I love sharing this soda with my diabetic clients because they really have a tough time giving up the sugars but want a sweet treat. This is a great one. Almost everything worth doing requires a sacrifice of some sort. That is what makes you feel so good when you successfully accomplish something difficult. Giving up sugar may be difficult for you. But sugar contains a lot of calories and zero essential nutrients. It can cause tooth decay, promotes weight gain and water retention, and can even become an addictive habit. And did you know that a diet heavy in sugar can actually damage your liver? There are so many reasons not to take sugar into your body, and zero healthy ones. Yes, it tastes great. But that is only because you have become used to it. When you practice these tips to cut sugar out of your diet, your body and mind will resist at first. But after 2 to 3 weeks of less sugar, you will start to feel better, and both your taste buds and your mind will begin to become acclimated to your healthier diet. This makes eliminating sugar much easier every day that you are successful with these tips. For more help with changing your diet and overcoming nagging health issues, schedule a Complimentary Discovery Call here.